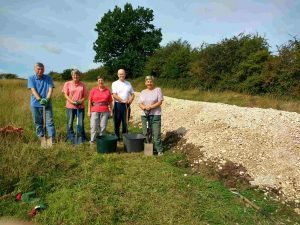 We are creating a butterfly bank towards the bottom of Cardales Meadow. 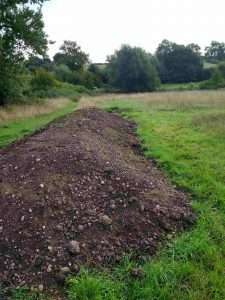 This will create habitat of open grassland swards. 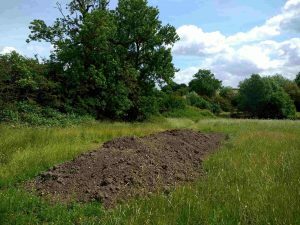 The aim is to create an area of varied aspects where herbs predominate but where there is also abundant bare ground. Click HERE to get more information about what we are planning. 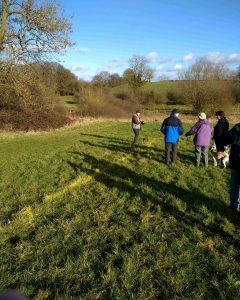 Early in February members of the group met in the meadow to decide where to place the bank and to mark out the area. 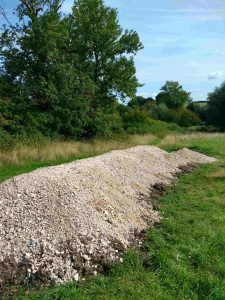 Early June – All the soil has been placed and the bank is ready to shape. 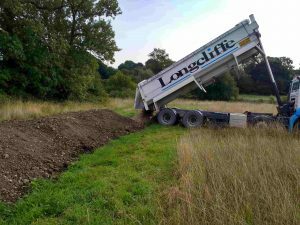 At the end of August Longcliffe Quarries delivered 6 tons of limestone chatter and members of the group moved about 4 tons onto the bank.